Hi Ladies! Want to know a secret about me?!?!? *you have to promise you won't tell....okay* I'm obsessed with extreme couponing! I haven't had the courage to actually go into the grocery and put my new skills to use though, I've just been having the fun in my head lol. It started out with me faithfully watching the show on TLC, since then I've been searching the web for couponing tips, couponing blogs, couponing apps and my research still isn't done! 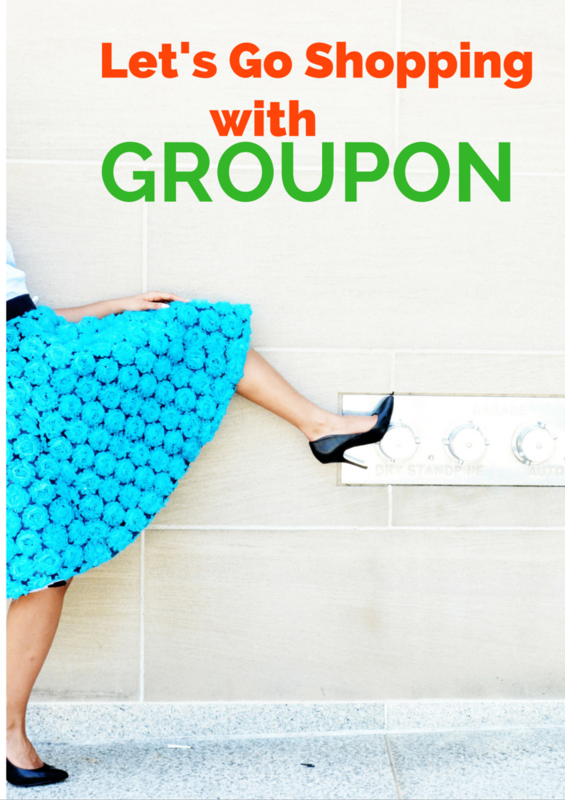 One of my newly found couponing loves is Groupon Coupons! YES....the same Groupon that saves you tons of money on concerts, local events, and all-inclusive getaways now offers verified discounts and coupons to many of my favorite retail stores! Some of the retailers include Sephora, Macy's, Talbots, Khol's, and HSN..just to name a few. I know you'll find great coupons with this app. And if apps aren't your thing, you can find the deals online here!And did I mention it's FREE!!!!! Hundreds of coupons at your fingertips for the cost of free.99! I'm beating myself up for not using Groupon Coupons sooner. If you follow me on Instagram, you know I post my #dressingroomchronicles every Tuesday (if you don't follow me, you're missing out on all of the fun :)). Well before I head into those dressing rooms, I check my Groupon app! This helps me plan out which stores I'll be going into...the kid is on a restrict budget lol. I'm glad they offer coupon codes for retailers that cater to plus fashion, like Torrid and Avenue!